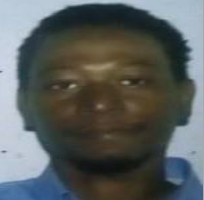 Nassau, Bahamas - Police are seeking the public’s help in locating a man who has been reported missing by family members on 11th September, 2018. Smith is described as being approximately 6” tall, slim build with drown complexion. Anyone knowing the whereabouts of Aaron Smith is asked to contact the Central Detective Unit at 502-9991, crime stoppers at 328-TIPS (8477) or the nearest Police Station.